Explanation: Don't panic. It's just a spacesuited mannequin named Starman. As the sunlit crescent of planet Earth recedes in the background, Starman is comfortably seated at the wheel of a Tesla Roadster in this final image of the payload launched by a Falcon Heavy rocket on February 6. Internationally designated 2018-017A, roadster and Starman are headed for space beyond the orbit of Mars. The successful Falcon Heavy rocket has now become the most powerful rocket in operation and the roadster one of four electric cars launched from planet Earth. The other three were launched to the Moon by historically more powerful (but not reusable) Saturn V rockets. Still, Starman's roadster is probably the only one that would be considered street legal. There aren't too many roads where it is headed though ? One glorious gesture, or a substitute for ballast . Just why would you shoot a car at Mars, and then miss by a very large margin !! when history looks back at itself from some future epoch ? Maybe. Seems to me like the sort of nonsense that happens in a system that allows individuals and companies to make too much money. The NASA ethos of pure research seems to have been diluted somewhat, to say the least. Paying passengers as space tourists indeed.?? so a little publicity - via an expired roadster - to fire the public's interest may not be that harmful. We'll await and watch for future plans and developments and directions with interest. However, it may be worth keeping in mind that this launch was a of a rocket that has the technology to land itself. So will we see an announcement in 5 or 6 months that a Tesla has been delivered to the surface of Mars. Perhaps not, if the reports of the wayward navigation were true. If all the fuel has been expended, of course, then no chance. Still, Starman's roadster is probably the only one that would be considered street legal. Roads? Where it's going, it doesn't need roads. <<In the study of whether Mars has had environments conducive to life, precautions are taken against introducing microbes from Earth. The United States is a signatory to an international treaty that stipulates that exploration must be conducted in a manner that avoids of the transportation of living organisms to celestial bodies. One reason to avoid that is simple: we wouldn't want to go to Mars and "discover" life - only to figure out later that we brought it with us! Scientists also want to study the planet and any life that might be there in its original "pristine state." No, not another boring space launch! Bart pulls the plug on the TV to save himself and Homer from having to watch another pointless space launch whose applications will be anything from watch making to watch repair. 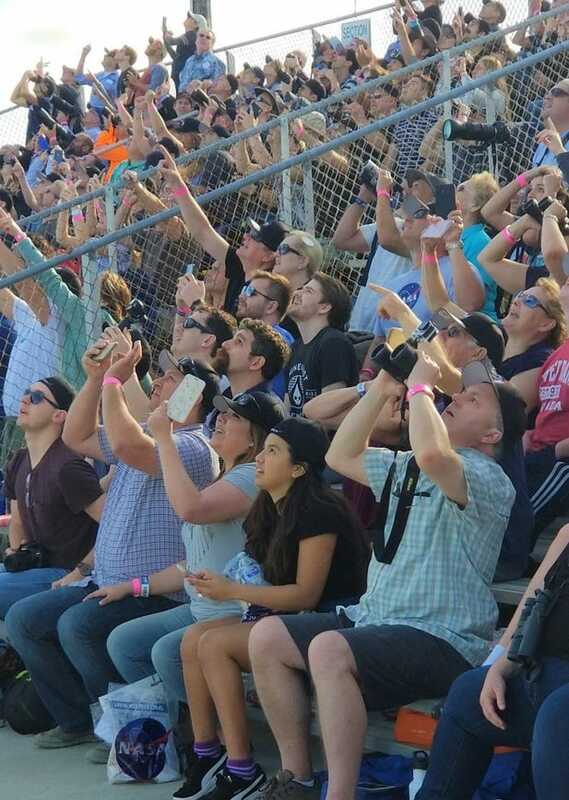 Spectators cheer as they watch the launch of Falcon Heavy. Go, Starman, go! Last edited by Ann on Sat Feb 10, 2018 10:18 am, edited 1 time in total. Thanks for this explanation. I thought the world - or at least NASA - had gone mad. Why didn't they think of making Bertrand Russell's teapot https://en.wikipedia.org/wiki/Russell%27s_teapot a reality if they felt like playing games - or has that been done? By the way, anybody noticed just after 4 hours the roadster 'windshield' (the helmet actually) has already been hit by a 'space bug'? In the live video in the link of '2018-017A' at the beginning of the vid the side of Starman's helmet just below the small black dot, is pristine, but very near the end of the 4 hour video, the helmet has a white bug splat on it. And just when you thought that the vacuum of space is empty. What an overwhelming example of self-aggrandisement! Elon Musk launched a useless, worn out car and a dummy, when surely he could have offered the launch for a scientific package? BUT, video of the boosters landing again for reuse inspred me! PROPER spaceships, at last! Obviously Heavy Metal was the inspiration for all of this. It is straight out of the first few minutes of the movie. Me thinks today APOD got a little giddy; and that's OK! A little humor is needed now and then! What? and risk a billion dollar pay load on a "TEST" launch? JohnD wrote: Elon Musk launched a useless, worn out car and a dummy, when surely he could have offered the launch for a scientific package? Is there a teapot in the trunk? Unless it was a Schrödinger's cat teapot. neufer wrote: Unless it was a Schrödinger's cat teapot. 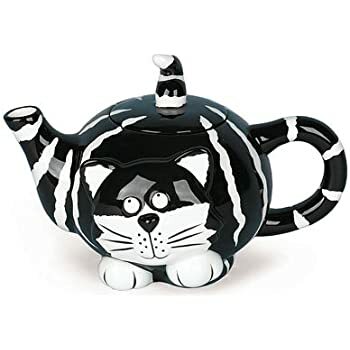 That would be a cool teapot if it features a dead cat on the opposite side. I'd buy one. Depends. Not all payloads cost a billion. Lamented Beagle II cost 'only' £50 million - I looked for that because I knew it was done on the cheap. This might be the time for some enterprising person to set up a clearing house, seeking room on launches and offering them to universities and businesses. For a fee, of course. The last image from the onboard camera. But the object is visible from telescopes on the ground. Not resolvable, but imageable.